The agency is about to expand its offshore efforts to more jurisdictions. As it cracks down on offshore tax evasion, CRA’s past enforcement measures have been paying off. The agency collected $1.57 billion in additional revenue in 2014-2015 by following through on enforcement measures announced in the 2013 budget, reports The Globe and Mail. CRA had initially estimated that the work would bring in $550 million a year. In the wake of the Panama Papers leak of offshore tax companies, the CRA is now contacting hundreds of taxpayers who have links to the Isle of Man. The tax agency will be reaching out to about 350 people, and 400 businesses that have done financial transactions involving the British Crown dependency – a small island between England and Ireland with its own tax laws. Already, CRA is conducting 60 related audits. Over a 12-month period, $860 million was transferred between the Isle of Man and Canada, says CRA. The agency stresses that just because someone is linked to the Isle of Man doesn’t mean he or she is shirking their tax obligations. “In May 2016, the CRA will expand its analysis to other jurisdictions of concern as well as financial institutions of concern,” CRA spokesperson Jelica Zdero told Advisor in an email. In April, Minister of Revenue Diane Lebouthillier highlighted the Isle of Man and three other jurisdictions where Canadian taxpayers could be hiding money from tax authorities. CRA is not naming the other places because they don’t want to tip off potential tax dodgers. She also announced a set of measures, including a program that will stop groups who promote tax evasion and avoidance schemes. In the 2016 budget, the government had already committed $444 million over five years to hiring 100 more auditors and other measures. It estimates that ramping up these efforts will help it collect more than $2.6 billion in unpaid taxes. CRA is also creating an independent advisory committee on offshore tax evasion and aggressive tax planning. Seven independent experts with significant legal, judicial and tax administration experience will advise the tax agency on additional administrative strategies for offshore compliance. 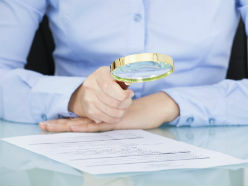 Potential ways to improve CRA’s criminal investigation functions. The tax gap is the difference between what a government is owed in taxes, and what it actually collects. CRA has been criticized for not calculating the gap in the past. CRA’s work comes as it faces allegations that it’s too cozy with the industry it regulates. The New Democratic Party is calling for a conflict of interest investigation into a series of CPA Canada social events attended by agency bureaucrats and accountants in 2014 and 2015. That was during the time KPMG and the revenue department were at odds over the company’s refusal to release the names of clients who were reportedly transferring money to the Isle of Man in order to avoid taxes.